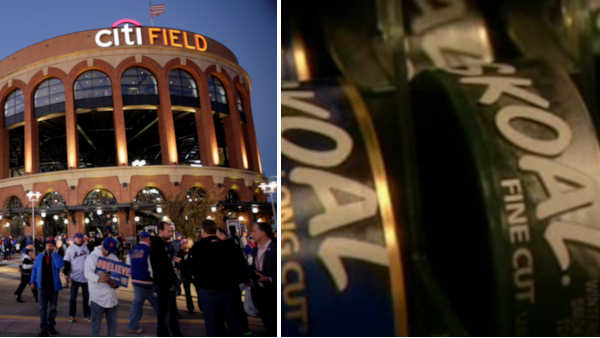 NEW YORK (WABC) -- The New York City Health Department is backing legislation that would ban smokeless tobacco from all ticketed sports arenas, including Yankee Stadium and Citi Field. The proposal would ban it at all ticketed sports venues in New York City, and it would apply to fans and players. Chewing tobacco is legendary at baseball games, and the reactions to the proposal were varied. "That's a part of the ball game," fan Ronald Massenburg said. "Tobacco, peanuts Cracker Jacks, beer." At a hearing Thursday on several anti-smoking bills, the health department's senior legal counsel Kevin Schroth said that every year, roughly 415,000 kids nationwide try smokeless tobacco. He said young people repeatedly see professional athletes, especially baseball players, use chewing tobacco and that makes it socially acceptable. The law was proposed by City Councilman Corey Johnson. "These baseball players are heroes to young people and role models," he said. "And to have them on the field, in the dugout, with millions watching on TV, chewing tobacco and spitting it out, it's not the right message that we want to send to young people." At Mets Spring Training in Port St. Lucie, third baseman David Wright weighed in on the idea. "I think I'm torn on the whole thing," he said. "If you think it through, you can see the pros and cons to both ways." The Mets organization supports the proposal, saying in part, "Preventing children from being exposed to smokeless tobacco is an important initiative and we are glad to play our part in achieving this important goal." The Yankees, in a statement, also fully support the proposal. There are health issues to consider, but some like Massenberg, who worked at Yankee Stadium, are against the idea. "Players are going to chew tobacco regardless, trust me," he said. "And I am too from time to time." The tobacco products have already been banned at fields in Boston, Los Angeles and San Francisco. Lawmakers are also targeting hookah bars by considering legislation that would add the non-tobacco shisha used in the water pipes to the city's smoking ban. Schroth says smokers underestimate the health risks associated with hookahs use, which is attracting more young people.